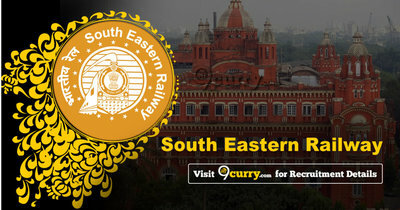 South Eastern Railway Result 2019: Below are the latest results published by South Eastern Railway - South Eastern Railway (SER) / ser.indianrailways.gov.in. The recent result announced by the organization is Act Apprentice Provisional List 2019. South Eastern Railway Act Apprentice Provisional List 2019: South Eastern Railway (SER) has announced the Result on 03 Apr 2019 for the exam . South Eastern Railway Trade Apprentices Result 2019: South Eastern Railway (SER) has announced the Result on 26 Feb 2019 for South Eastern Railway Trade Apprentices Exam 2019 .